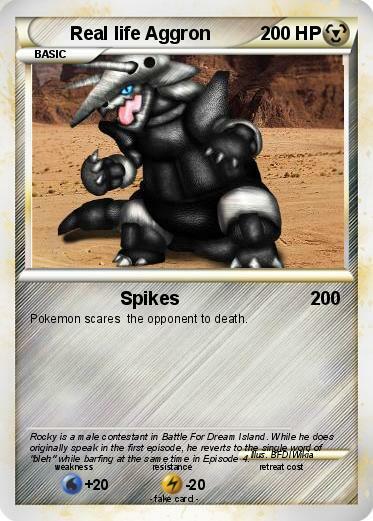 Pokemon scares the opponent to death. Comments : Rocky is a male contestant in Battle For Dream Island. While he does originally speak in the first episode, he reverts to the single word of "bleh" while barfing at the same time in Episode 4.